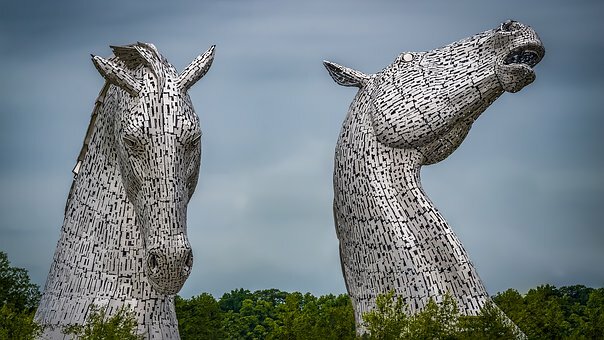 New data has revealed that the hottest spot for buyer demand in the UK right now is Falkirk with the ratio of properties listed as sold to those still for sale currently at 65 per cent. So if 100 properties are listed in total, but 60 have already sold subject to contract or are under offer, this area would score a demand percentage of 60 per cent. A higher demand score indicates higher levels of demand as more properties have left the market as SSTC or under offer. After Falkirk, Glasgow ranks as the second hottest spot at 58 per cent, with Sale in Greater Manchester in third (57 per cent) before Scotland continues to dominate with Edinburgh in fourth place (56 per cent). Dartford in Kent and Dudley in the West Midlands are both home to a buyer demand percentage of 53 per cent, while Bristol ranks in seventh at 52 per cent. Walsall (51 per cent), Sheffield (51 per cent) and Coventry (49 per cent) complete the top 10. A dismal time for homeowners in Aberdeen continues as not only is it home to some of the largest drops in price, but buyer demand is at just 10 per cent. Stockton, Sunderland, Middlesbrough and Darlington are also amongst some of the worst. Having been hit by some of the highest levels of buyer uncertainty, it’s no surprise that London ranks as the UK’s sixth least in demand location amongst buyers at just 27 per cent. Looking at the capital, Bexley continues to remain strong for buyer demand at 51 per cent, along with Barking and Dagenham and Waltham Forest. Westminster is the capital’s least in demand borough at 12 per cent along with Kensington and Chelsea and Camden. Founder and CEO of Springbok Properties, Shepherd Ncube, said: “With Brexit uncertainty taking hold on a national level, it’s interesting to see some of the less conventional areas coming to the forefront where buyer demand is concerned and these areas are certainly benefiting from a more business as usual attitude where home selling is concerned.